First it was restaurants now even sports bars are using SMS marketing. It seems that the entire food and beverage industry has been taken by the text marketing storm. Given the wide scale benefits of using mobile marketing it perhaps comes as no surprise that sports bar owners are turning to this service. The food and beverages industry is already very crammed and businesses are having a hard time retaining customers. These businesses are on the lookout for something that makes them stand out and gives them an edge over competitors. SMS marketing is one such tool that matches these qualities which is why sports bars prefer using it. Let’s look at ways you can use SMS marketing to increase the revenue of your sports bar. You can create a mobile club using SMS marketing and add customers to it. This will give you easy access, so later on whenever you have to make an announcement you can just send out a single text to multiple people at the same time. 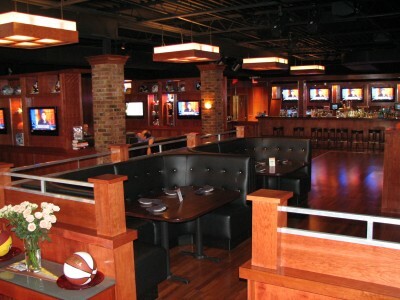 Sports fans love spending time at sports bars and you can give them more reason to visit regularly. Send out SMS marketing messages offering special discount coupons to customers. For example: get free drinks on Wednesday after 10. This may sound unbelievable but if you are willing then you can achieve it. You can use SMS marketing to create a virtual chat room in your bar. Put up some screens that show live updated texts and ask the customers to send in their messages. Fans could trash talk each other or maybe send out a message to a special someone. This would increase interaction and engage the customers. This is one strategy that you definitely must use. As a sports bar owner it is your duty to keep your customers updated about the latest happenings in the world of sports. You should regularly send SMS marketing reminders about schedules and timings of the match. Make sure that your bar is filled to the brim every night. There are so many games being played every day that you really can’t decide which one to show in your bar. So let the customers decide for themselves, start a SMS marketing poll session and list down all the games being played on that particular day. Ask the customers to send in their replies then draw the results and send them back to reveal the selected game. This will make it a lot more convenient for the customers.